When I picked up the new iPhone 5 back in December, I started a new Instagram profile. 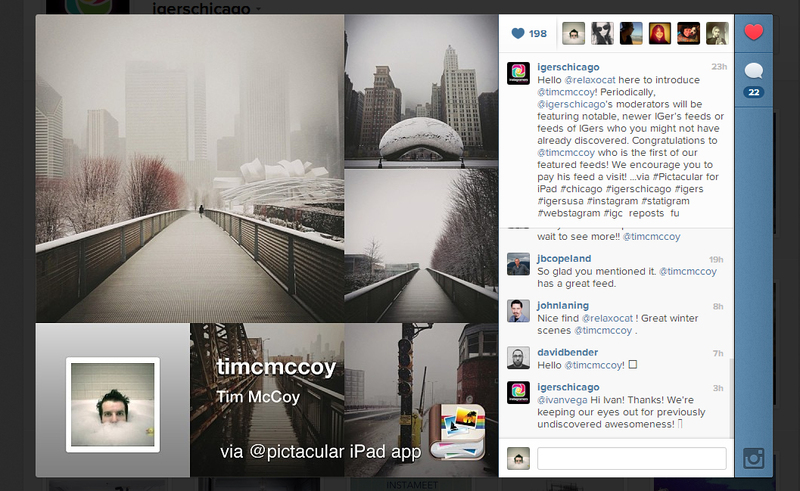 Recently, Igerschicago picked up on my photo feed. They featured it on their profile and it put me on the map for popular Instagramers in Chicago. Now it’s a full on addiction. Take a look at my Instagram feed here.